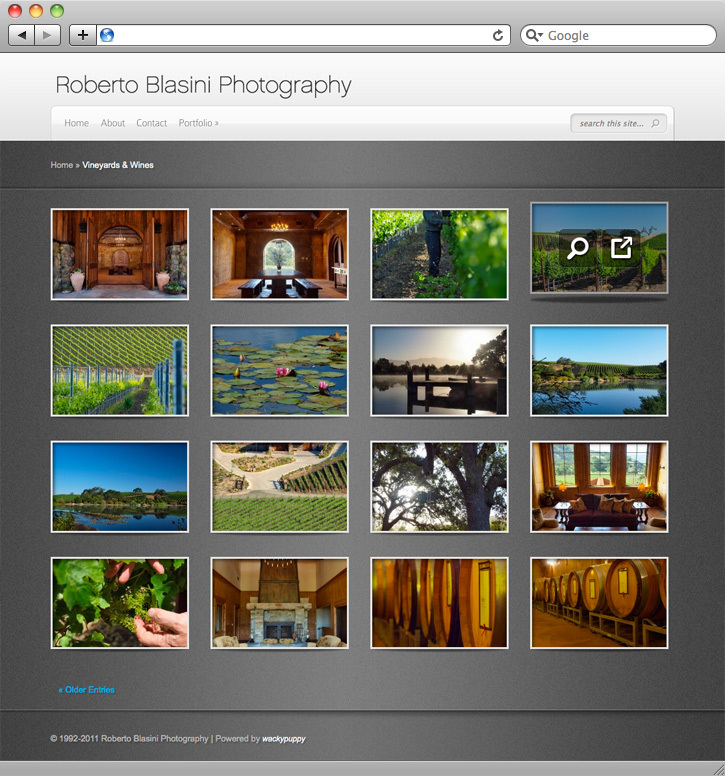 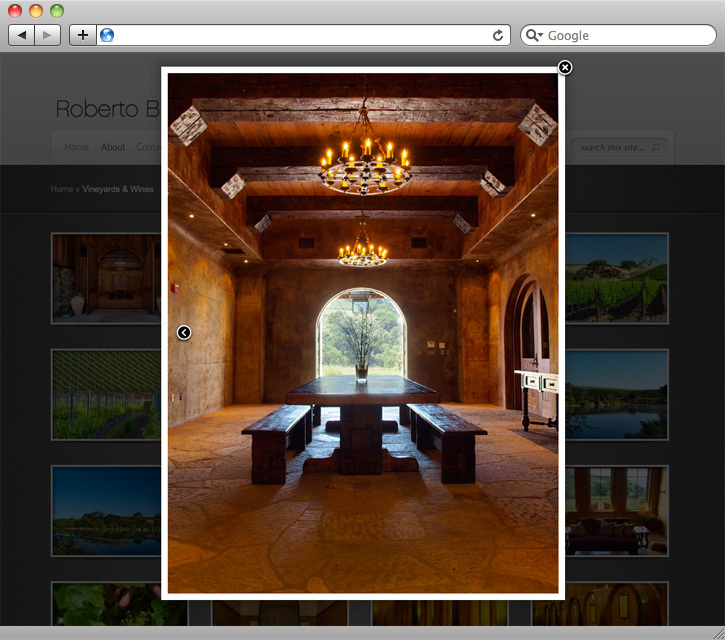 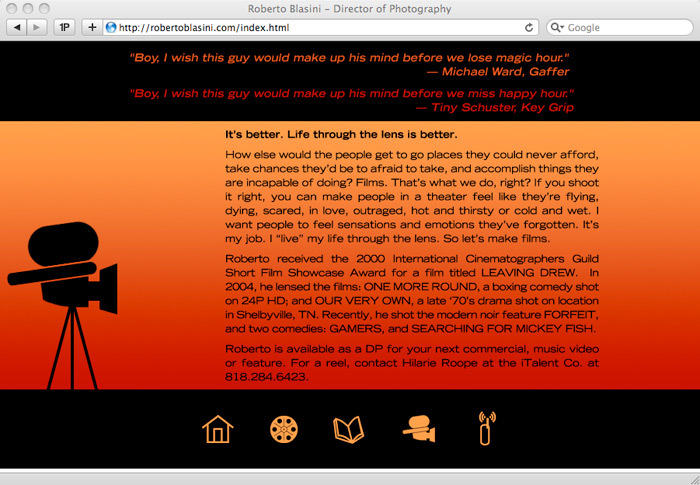 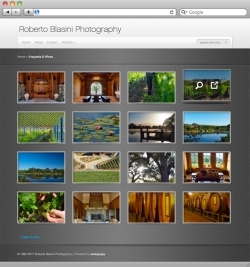 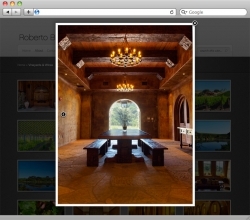 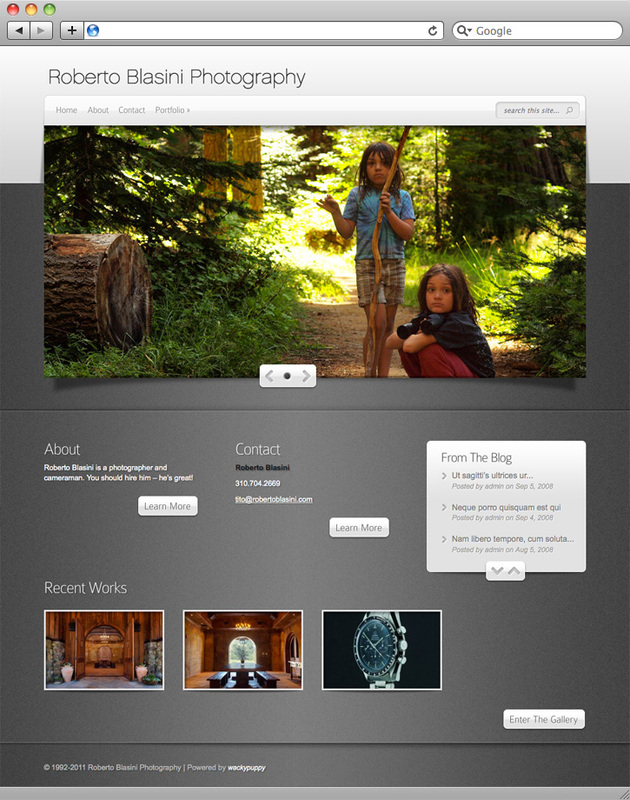 Installed, configured and customized a WordPress template site to provide a speedy and low cost online portfolio for Mr. Blasini’s photography portfolio. 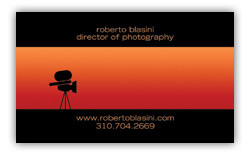 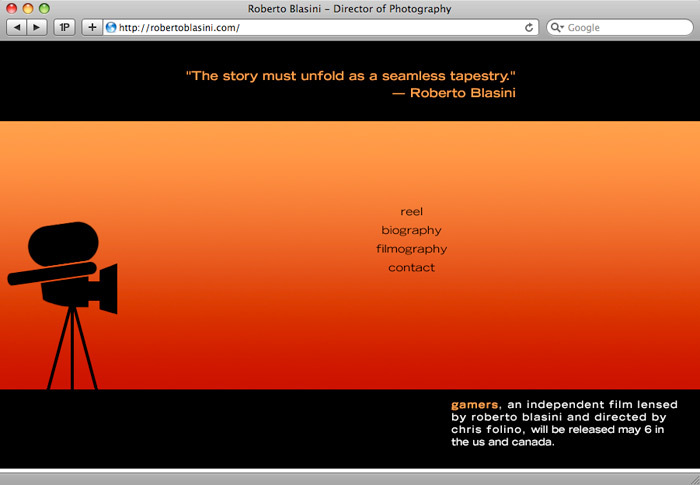 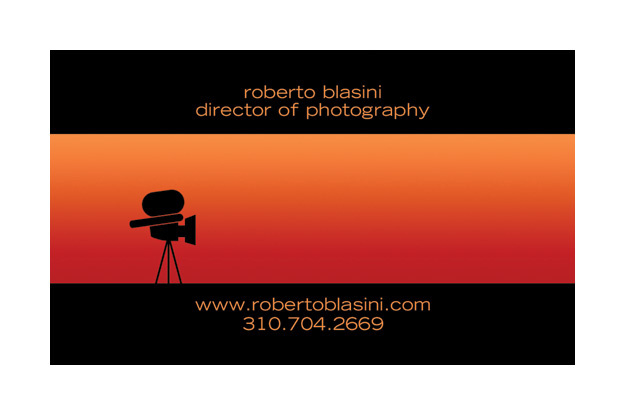 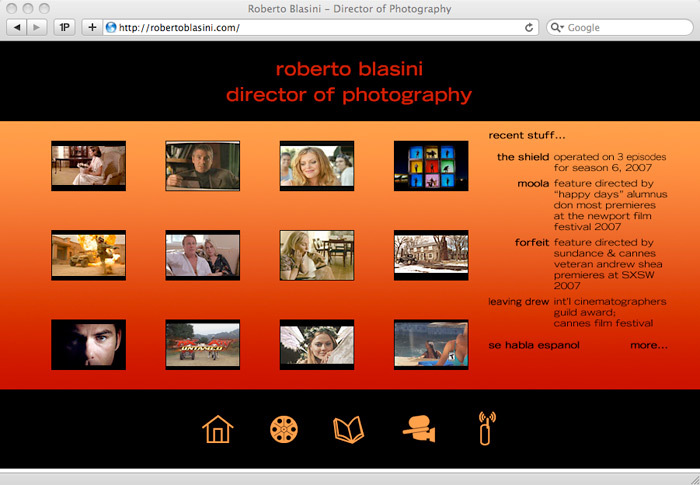 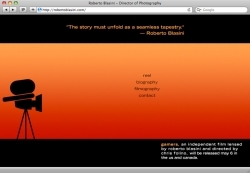 Roberto Blasini is a talented and award-winning photographer, videographer and Director of Photography based in Ventura, California, who worked for many years as the First Camera Assistant to Academy Award-winning DP Guillermo Navarro. WackyPuppy provided brand development, designed and implemented a custom website with portfolio reel and an innovative e-marketing strategy that led to several new films for Roberto, as well as adapting an existing WordPress site template to implement his photography portfolio for a very low budget and in record time.